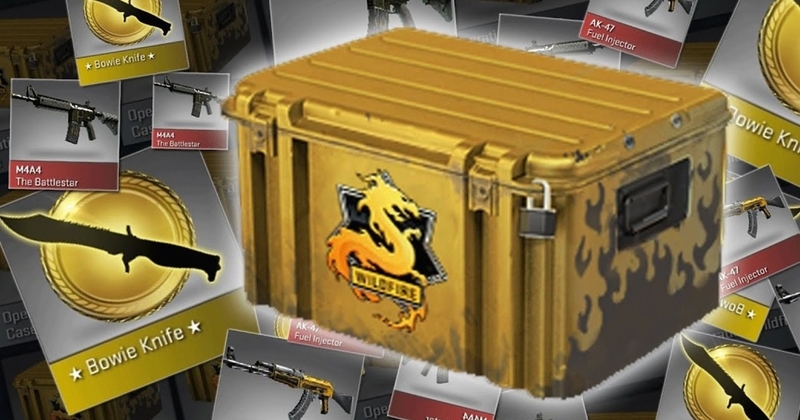 Dutch and Belgian laws declared Lootboxes to be illegal gambling and warned of fines for games that implemented them. So Valve decided to obey the law. A recently launched update removed Dutch and Belgian territory access to lootboxes… with no alternative on how to gain items. It’s a direct reply to this. I have to admit that if I was working at EA or Valve and my position would have to be to make people like Lootboxes? … though I’d probably soften up the day after and ask the Marketplace team what could be done about it. Loot boxes are gambling and they are addictive. Since you earn them in game by playing I’m fine but when there is the option to buy them then there is a problem. I my self have spend some money on them. Not much but I did buy a couple in Call of Duty. I can see the humor in Valve’s decision because I personally have played numerous games with lootboxes and haven’t spent a penny… To me these were like the “3-cards minigame” in SUPER MARIO 3… you couldn’t pay money for it… but you got something nice or you got something crappy. I am an avid CS:GO player myself, and I have not bought a single item so far. Every item is purely cosmetic and one can do without any of them. I personally find Valve’s decision to be pretty good, given the circumstances. I am not sure if you’re aware, but while most loot boxes can be obtained by just playing the game, there is no way to obtain the keys to unlock these loot boxes. The only way to get these keys is via trading or purchasing them with actual money. The only saving grace is that these are purely cosmetic items inside loot boxes. Edit: I am referring to CS:GO here. Valve are showing off their greed, wow, how the times have changed. The only way to get these keys is via trading or purchasing them with actual money. that means you have 999 unopened lootboxes in CS:GO? There’s a couple of games I play with the same limitations and that’s what I ended up with. I could trade the loot boxes with other people for items, but I don’t like trading too. So yes, I have a lot of loot boxes just lying there unopened. Well I guess that illustrates it then… You are in fact able to play (and enjoy) CS:GO without having (or ever opening) lootboxes. Maybe it wasn’t such a punitive decision by Valve after all. To share my own similar experience, in MECHWARRIOR ONLINE, you use Mech Specific XP earned in each mech in order to spend Skill points on Mech Pilot Skills specific to each mech you own for Buffs. You can also convert Mech XP into GXP (General XP) that can be then used with other mechs but that costs money. The idea is you can use your strongest Max Levelled mechs to help pool GXP for your new and undeveloped stuff, or buy XP outright. My best (ie; Most Wins) Mech is sitting on 95,000 Mech XP that I refuse to convert into GXP… because… I don’t want to spend any money…hahaha. But I still have fun… I don’t care. I just play like GXP does not exist. Same thing in DIRTY BOMB, Weapon Skins are locked away behind boxes with Keys you can only get in random lootboxes or buy with money. Who cares? The default guns look like guns… they tend to look silly once you get the skins. Weren’t COD lootboxes and stuff also only cosmetic upgrades? What prompted you to spend? I’ve seen some of the COD skins and they honestly look ghastly. I was perfectly happy sticking with the bland military looking skins. You get upgraded weapons also besides mimetics and some clothes. I purchased them because I was hoping to get good upgraded weapons. Well… that’s pretty bad… My method usually around games like that is to just work out what play style I can work in using only what is available and kind of “enjoy that for now”. 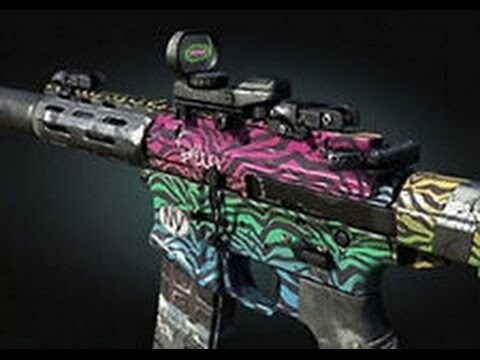 So in COD (Ghosts) I spent many months just using guns that had good base stats and were reliable, then only spending later on other stuff using in-game money. Ffs now I can’t sell them anymore. And is it the same for tf2? Like you get crates every week, and selling them is a profitable way instead of deleting them. But you could earn them pretty easily in WW2. If you did daily and weekly challenges you could collect cosmetics pretty quickly, not too mention just leveling up and playing the game mind you , rewards you with them. In addition, you can even buy certain items from the quartermaster using those silver coins that you get from completing tasks. It can’t be called gambling, (at least for WW2), because getting them is insultingly easy. They exist simply to gratify people who don’t want to work for their enjoyment. Well you know, when you want more and more and think you might get lucky. I guess you’re right in that it encourages people to buy them through positive feedback from gaining more and more, but it isn’t in the same vain as CS, where you have no chance of getting certain gloves, skins, sprays, and they are exclusively locked behind paying for them. In WW2 all items can be earned through loot boxes that you don’t have to pay for. I don’t really support either practice, but the game is meant to make money, so that’s what they’ll continue to do. Gabe Newell is sending your government a message.